BMW has always been known for creating top-notch performance vehicles and the M series is their crowing jewel. The company continues to push the boundaries of design and performance with the BMW Concept M4 GTS, a powerful car for use on the road and, above all, on the race track. 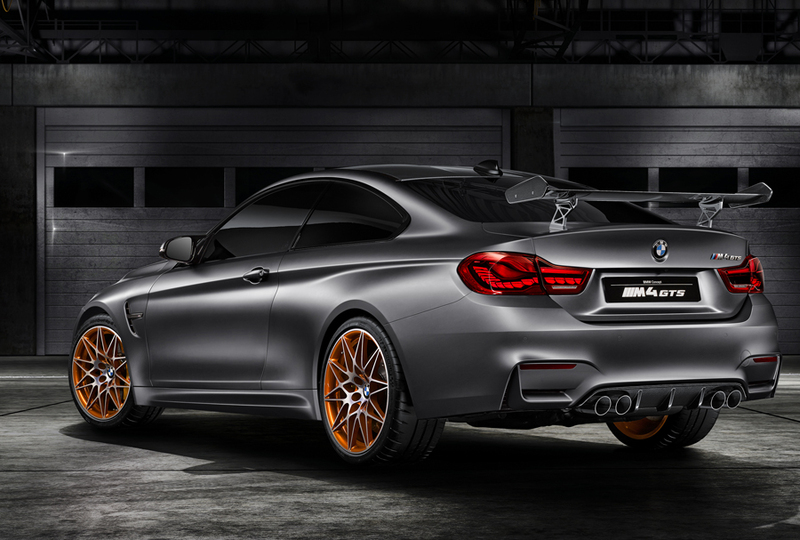 The BMW Concept M4 GTS builds on the BMW M4 Coupe’s dynamic and emotional use of forms. Yet its character as a high-performance car immediately evident. 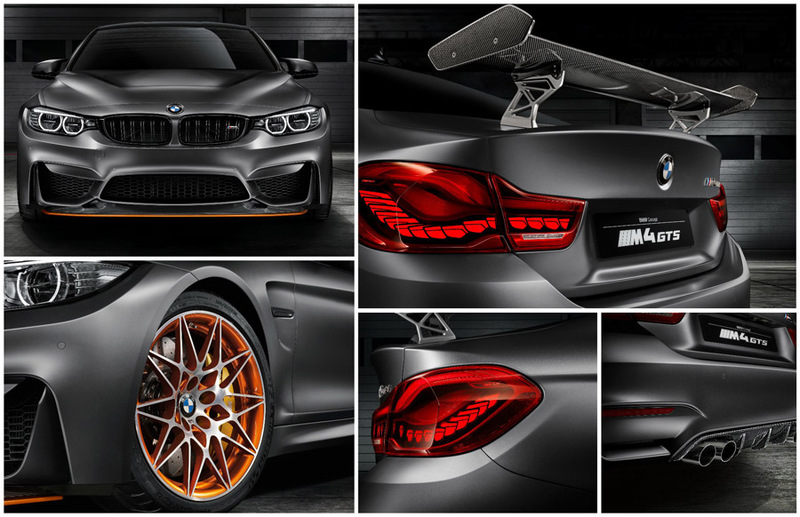 The manually adjustable front splitter and rear wing ensure perfect aerodynamic balance and allow the BMW Concept M4 GTS to be adapted for both individual race tracks and for use on the road. Another example of the engineers’ rigorous adherence to lightweight design is the carbon fiber reinforced plastic hood, which lowers the car’s weight and center of gravity. A wide front air intake optimizes airflow and minimizes front axle lift. The BMW Concept M4 GTS’s engine is equipped with an innovative water injection system with increases in output and torque. The system works by injecting water into the plenums of the intake manifold as a fine spray. When the water vaporizes, the intake air cools significantly. As a result, the final compression temperature in the combustion chamber – and therefore the engine’s tendency to “knock” – is reduced, enabling the turbocharged engine to use higher boost pressure and earlier injection timing. This technology reduces the thermal stress on performance-relevant components and enhances the stability and durability of the turbocharged engine. While performance is in the M4 GTS’s DNA, it also boosts stunning looks. The exterior paint shade Frozen Dark Grey Metallic, with the Acid Orange accent on the front splitter creating an effective contrast, gives the car a rakish and aggressive presence. The lightweight, forged and polished light-alloy wheels also feature an Acid Orange accent. To further accentuate the exterior, the BMW Concept M4 GTS is fitted with innovative rear lights featuring OLED technology which enables extra flexibility and forges an unmistakable appearance that signals exceptional precision. 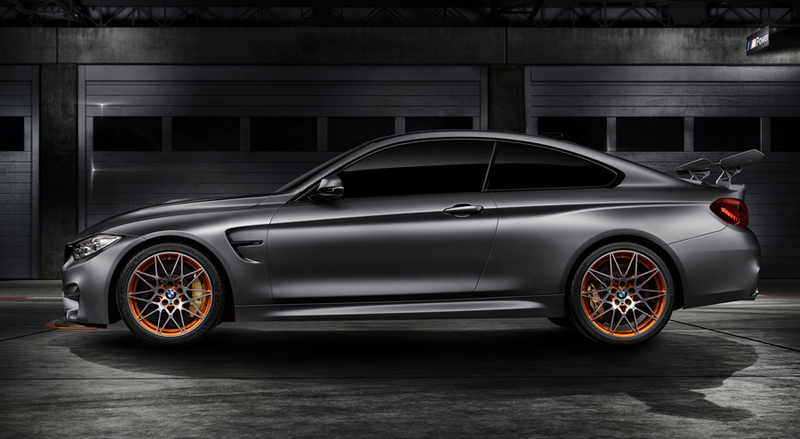 Look for technologies showcased in the BMW M4 GTS concept car to debut in production vehicles later this year.